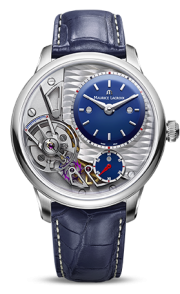 In a freshly restyled AIKON case, Maurice Lacroix has fitted a new manufacture, openworked, automatic caliber of unique design. 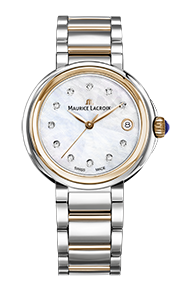 True to its vocation of manufacturing high quality timepieces at an affordable price, deeply rooted in urban and contemporary culture, Maurice Lacroix presents AIKON Automatic Skeleton. 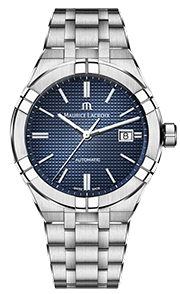 In the spirit of contemporary creation, Maurice Lacroix has made AIKON Automatic Skeleton the sum of many new features. 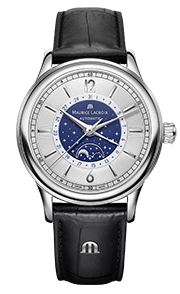 In a wide AIKON case, reshaped in order to house this new type of movement, Maurice Lacroix gives the manufacture ML234 calibre its maiden voyage. 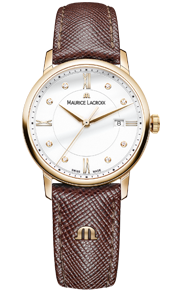 It is openworked according to a whole new pattern, designed purposefully for this timepiece. 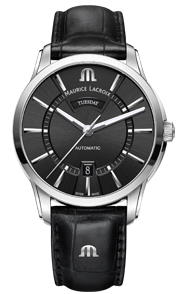 At the crossroads between two Maurice Lacroix ranges, AIKON Automatic Skeleton blends the AIKON design cues with the watchmaking substance characteristic of the Masterpiece collection.